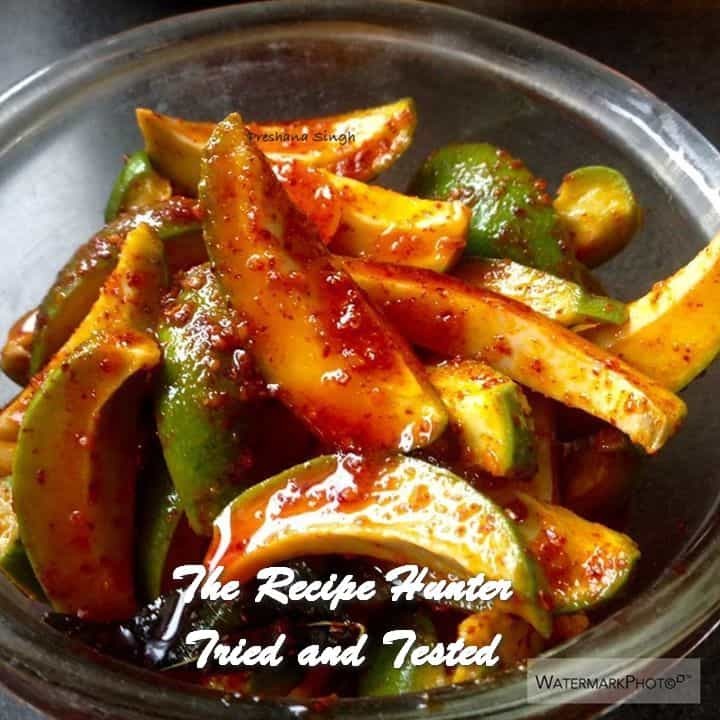 Place mango pickle in a jar and allow to soak for a few days before eating.Ensure that mangoes are coated with oil. 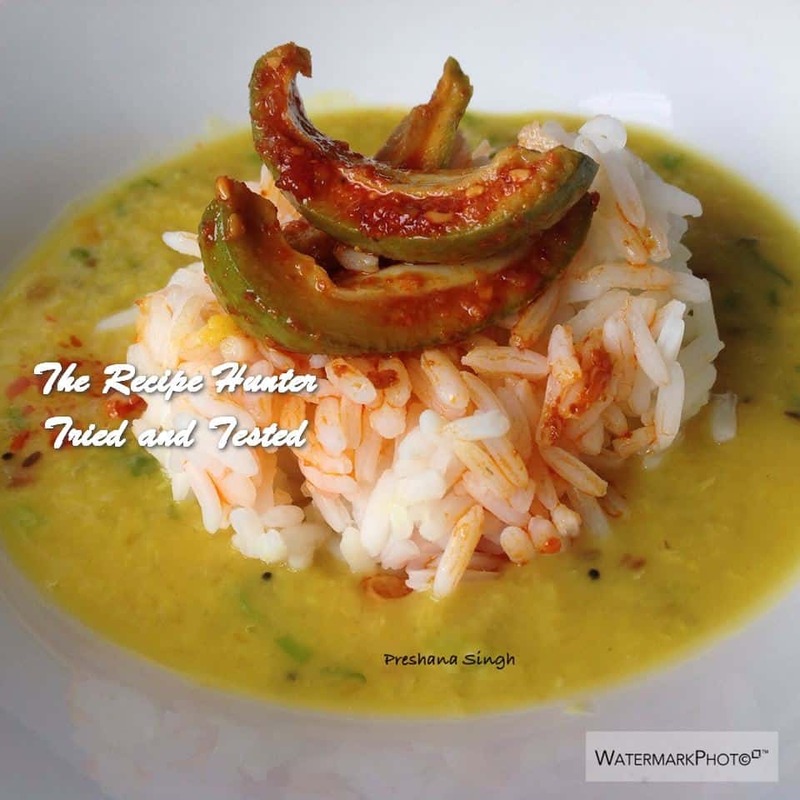 I love hot and spicy mango pickle and this recipe sounds so easy. No vinegar or any preservative ? I will post your comment and ask Preshana to respond and let you know asap. See Preshana’s comment on your question. Thank you, Esme and Preshana. Needless to say, I love mango pickles and am going to try this one. I am so happy that you will try this out. Please let me know what you think once done. Feedback always welcome. the mango pickle after one week of being preserved. Hope you like it.